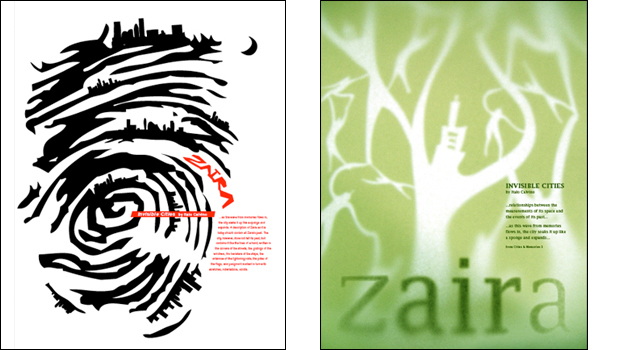 I visualized the city, Zaira that is one of the cities' name from Invisible cities by Italo Calvino. "...as this wave from memories flows in, the city soaks it up like a sponge and expands. A description of Zaira as it is today should contain all Zaira’s past. The city, however, does not tell its past, but contains it like the lines of a hand, written in the corners of the streets, the gratings of the windows, the banisters of the steps, the antennae of the lightening rods, the poles of the flags, every segment marked in turn with scratches, indentations, scrolls."